We have been having a play with our new double gauze fabric! Double gauze has quietly been becoming more popular with sewists over the last few years. In case you have never come across it, the fabric is suitable for a wide range of uses, including clothing, crafts and quilts. It is constructed from two layers of gauze (a light, open weave fabric), however the layers are joined at regular intervals, so you use it like one piece of fabric, and it is not as transparent as one layer would be. In the photo below you can see where the thread joins the layers. We have two prints in stock at the moment, both made in Japan by Sevenberry. Double gauze is very soft and the weave means it is light weight which makes it ideal for making clothing and accessories for babies. 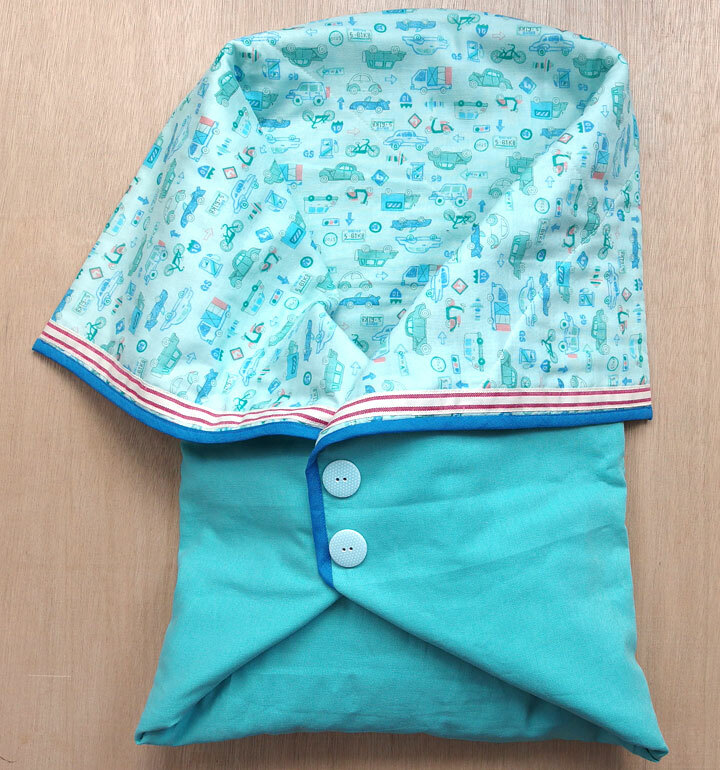 The pattern for this sleeping bag was downloaded from the Burda website here and was just 99 cents. Melinda made it from double gauze and linen, with a piece of cotton wadding in between. It is lightly quilted, so has a lovely drape to it. 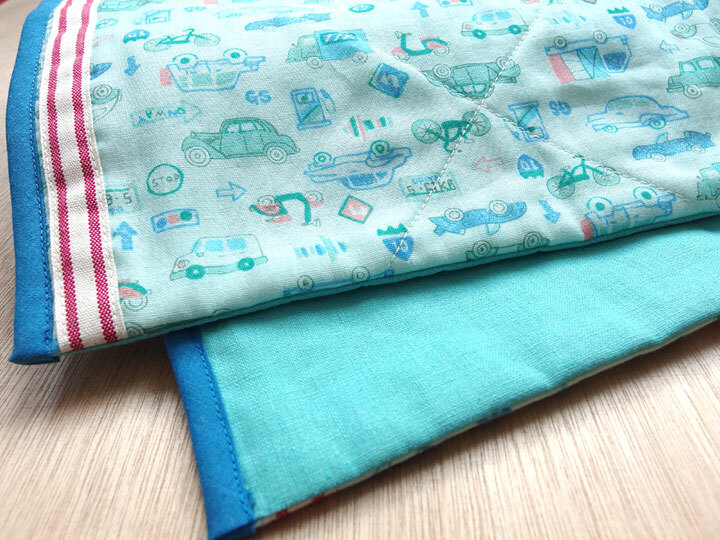 It was very easy and quick to make, and we think the mixture of fabrics would make it a useful and luxurious present for new parents.